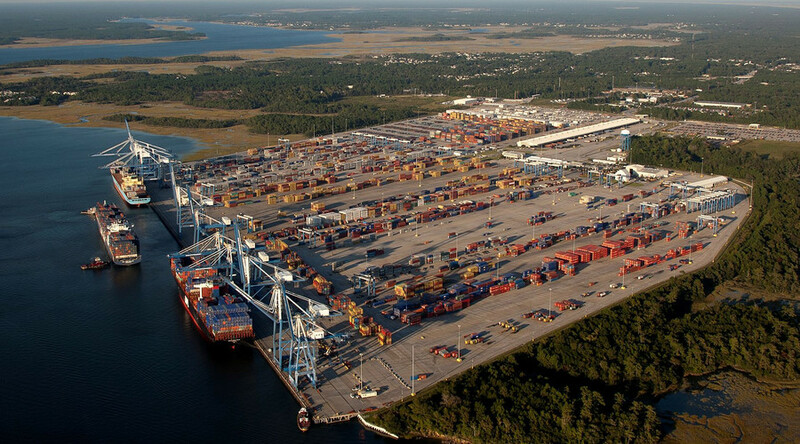 A terminal at the Port of Charleston in South Carolina was briefly evacuated because of a ‘potential threat in a container ship, the US Coast Guard said in a statement. “Authorities were made aware of a potential threat in a container aboard the vessel Maersk Memphis in the [seaport of] Port of Charleston” at 8:00pm local time on Wednesday, the US Coast Guard said. The authorities later established a safety zone around the vessel, the Coast Guard said. #update#investigation into Maersk Memphis threat active and ongoing by unified command in Charleston. The FBI has also arrived to investigate a report of a “dirty bomb” aboard a vessel, a source from the Coast Guard told local WCSC-TV. Officers from the Charleston County Sheriff’s Department, as well as hazmat crews, have arrived at the scene, according to WCSC-TV. The Maersk Memphis has been evacuated and its crew is safe and ashore, Reuters reported, citing Maersk Group. #update the original reporting source of the threat in port of Charleston has been detained by authorities for further questioning. “Terminal will reopen and safety zone has been lifted,” the statement added.